Want to send a memorable birthday gift? Look no further than the Birthday Celebration Dipped Favorites Gift Tower! This unique birthday gift features three towers of chocolate goodness. 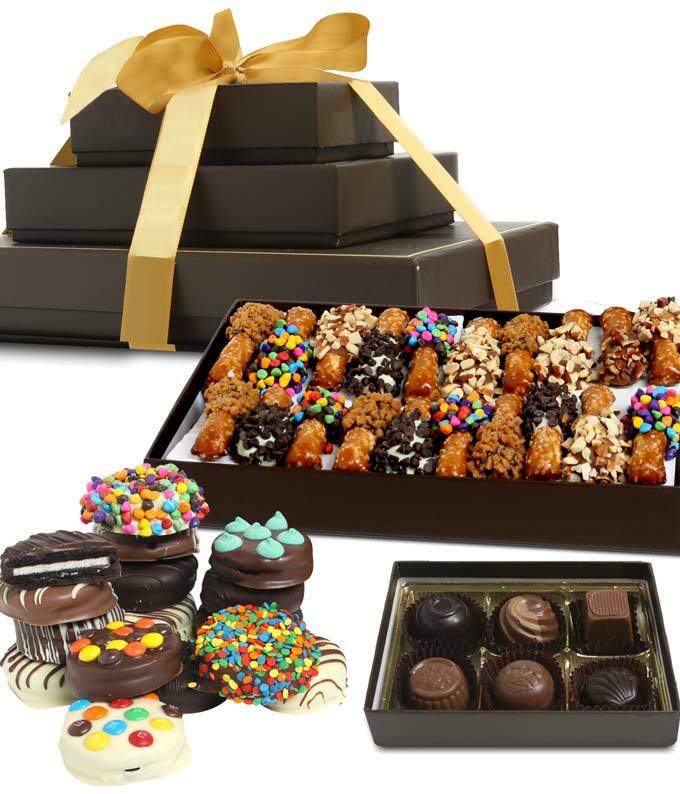 Your recipient will love munching on Chocolate Covered Oreo Cookies, Chocolate Dipped Mini, Chocolate Truffles and Chocolate Covered Mini Pretzels! They'll be pleasantly surprised when they realized that the Chocolate Covered Mini Pretzels are generously hand-decorated with chocolate chips, almonds, toffee and more.